This book puts forward a complete picture of Brief Strategic Therapy while defining the theoretical and practical features that distinguish this method from other psychotherapies. The authors present a comprehensive explanation of non-ordinary Mathematical Logic, which underlies brief strategic therapy techniques, to reveal how apparently simple techniques come to solve complex, seemly untreatable problems. This book provides the reader with a detailed description of the techniques applied throughout the treatment, and also explains the strategies, tactics, and techniques employed in reframing people’s perceptions, behavior and opinions. 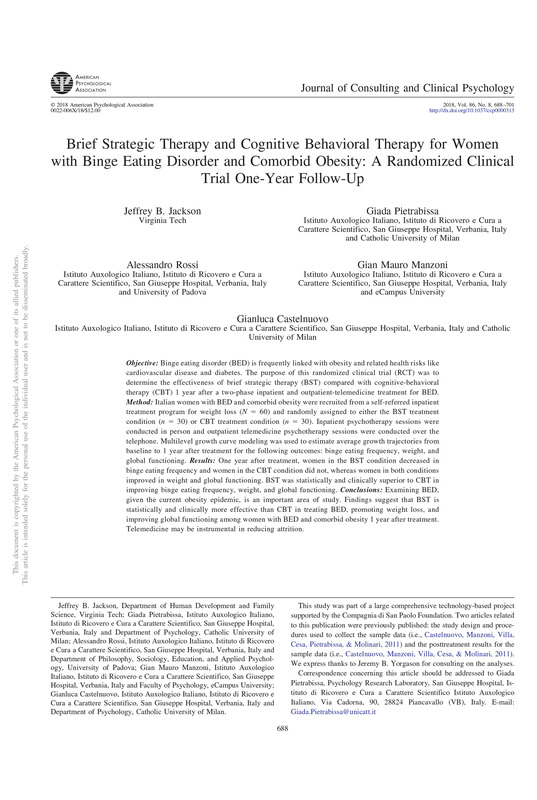 This rigorous work is one of Nardone’s most important and creative contributions to the evolution of Brief Therapy. It presents the advanced techniques set up for specific pathologies through long-term experimental-empirical research carried out at the Centro di Terapia Strategica of Arezzo, Italy. Case studies are introduced for a better understanding of this approach, followed by a thorough evaluation of the results obtained through on-going experimental-empirical research.